Ephemeris for Friday, November 25th. The Sun will rise at 7:53. It’ll be up for 9 hours and 12 minutes, setting at 5:06. 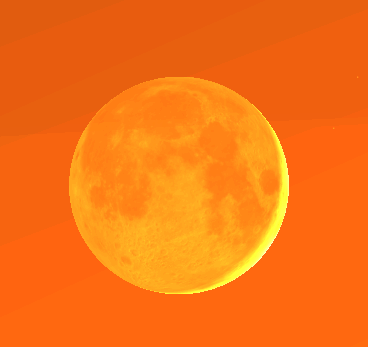 The Moon, half way from last quarter to new, will rise at 4:53 tomorrow morning. The Moon passed Jupiter about 9 last night, and so this morning is to the left and a bit below the bright planet. 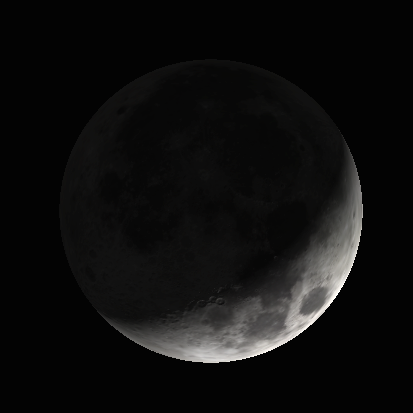 The Moon is a waning crescent a bit less than 10% illuminated by the Sun from our vantage point. Or maybe it’s more proper to say we see less than 10% of its day lit side. The Earth is the only close object to it that can illuminate it’s night side, and that might be visible this morning as Earth shine. 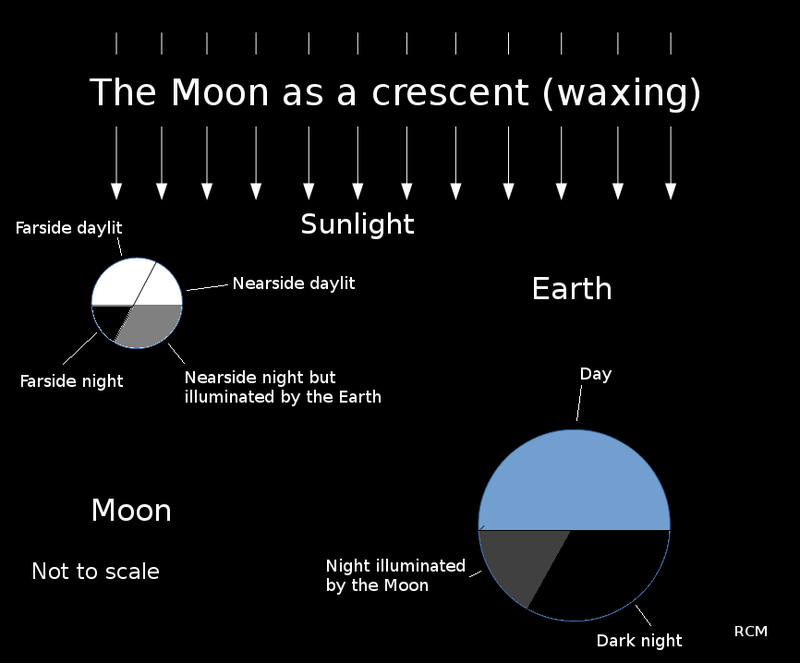 For the Moon the Earth is 90% illuminated by the Sun, exactly opposite its phase to us. It’s area in the Moon’s sky is 16 times the Moon’s area in our sky. On top of that the Earth is much more reflective than the Moon, which is dirty gray. 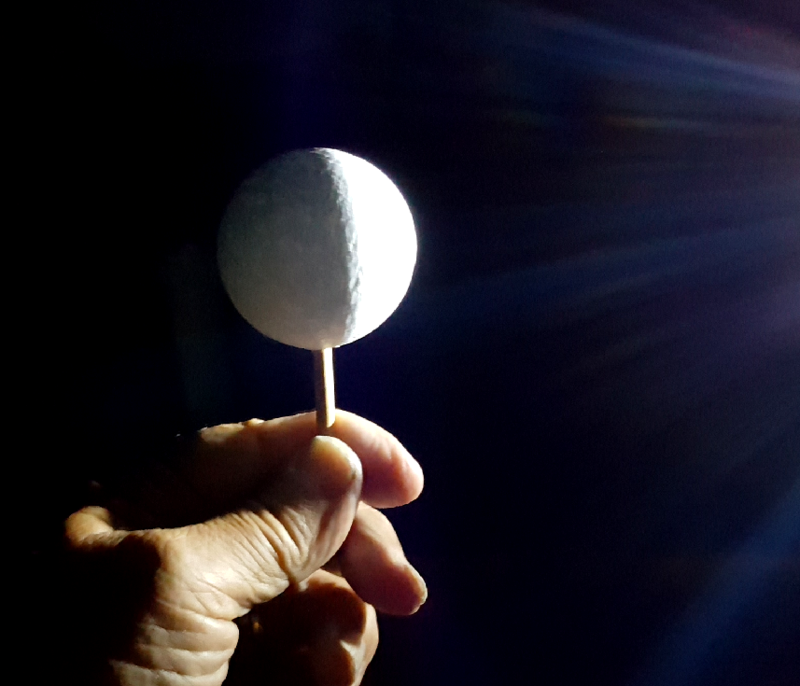 So Earth light in the Moon is much brighter than moonlight on the Earth. Jupiter, the Moon, and the star Spica at 6:30 this morning, November 25, 2016. The Moon is shown twice actual size. Created using Stellarium. The Moon with Earth shine with a confluence of planets (Venus, Jupiter, Mars) on June 15, 1991). Credit Bob Moler.